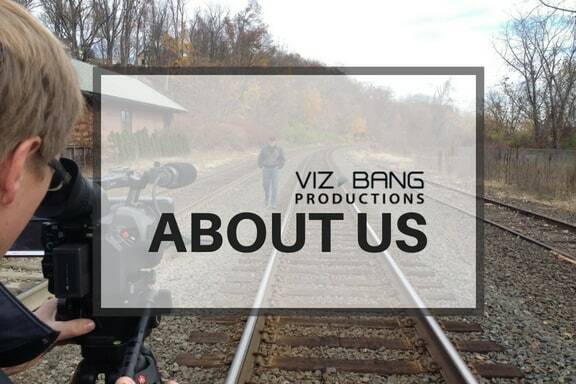 Viz-Bang is a full-service communications agency that has been providing services to corporate, nonprofit and governmental organizations for over twenty years in the areas of video production, events production and C-suite communications consulting. Our goal is to strategize with you to create dynamic and effective communications using a variety of media. We pride ourselves in our holistic approach and considering a breadth of potential communications platforms and methods. We are a nimble organization, able to adjust to your organization’s changing needs and audiences. We produce on small and large scales and will meet your exacting needs. We provide full-service video production and also can provide particular components of production such as scriptwriting and editing. We ensure that our products have impact and results. We collaborate closely with you to create a vision and a plan for your video production needs. Learn more about our video production offerings here. Viz-Bang applies a concept-to-completion approach in producing events for our clients. This allows the client to have peace of mind that every component of an event will run seamlessly. Count on us to bring an innovative and technologically sound approach to ensure the success of your event. We believe in working in a highly collaborative fashion to generate ideas from concept to production to delivery to meet all of your needs. We are sticklers for ensuring an exceptional and high quality delivery of an event. Learn more about our event production services and capabilities here. We take a highly strategic approach to C-Suite Communications. We partner with our clients to develop a strategy and vision as the foundation for launching your communications plan and activities. We work closely with you to create comprehensive communications strategies and execute plans tailored to your needs, ensuring communications plans reflect the increasingly connected world in which we live. Learn more about our C-Suite Communications services here.